Budget versus Big shot. We’ve been searching for LP storage and the options are surprisingly slim. Here are two of the best. 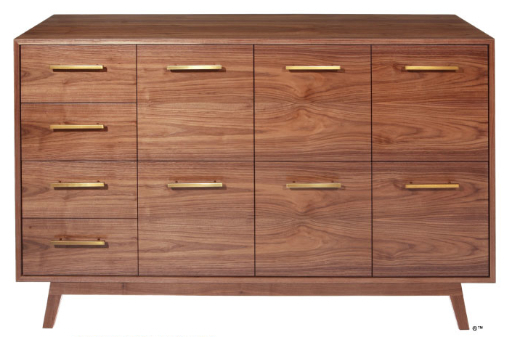 Above, Atocha’s custom LP cabinet. It really is a looker. The company will build one to your liking for a few thousand dollars, on the low-end of the scale. Each individual drawer stores about 95 albums. Very nice, indeed. My Uncle Neal in his younger years had what I thought was the ultimate pad complete with loads of LPs and beautiful stereo equipment. Back then, in the early 70’s he had just finished up his engineering degree at CMU. This puts me in the mind of something he would have owned. 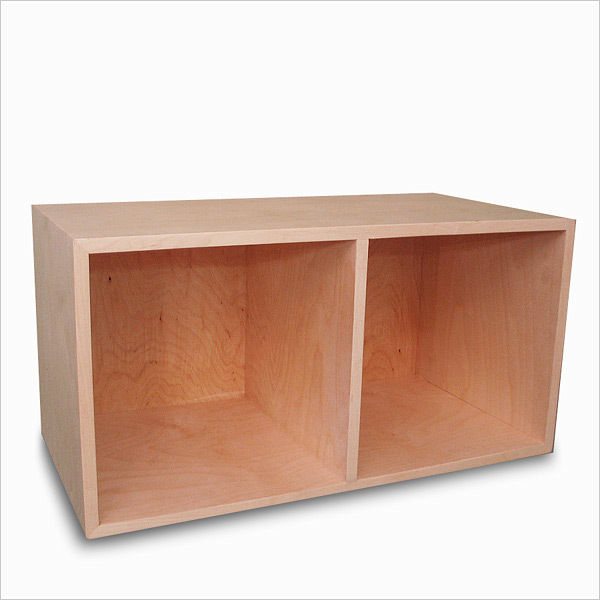 These unfinished wood storage cubes from Gothic Cabinet Craft are $85 each. You can stack and stagger them to create neat configurations. We have a long open space to fill with LPs and equipment so this option suits us better all the way around. We can fit a turntable, components as well as speakers between the cubes. The dimensions–15×30–give us the option to store books as well. When I was little, my mom and dad stored their books and music together in this way. A dear friend’s family stored their books and music together, too. They owned a large catalogue of LPs and an impressive reference library on art and jazz. You could find reviews and other writings related to just about anything you pulled out of a dust sleeve. Click the pic for a closer look. Home Depot and Ikea have plants, but for more variety and better quality check out your local nursery. I wanted to add some green to our space and headed out to Green Fields Nursery, very close to downtown on Falls Road directly off of 83 North. 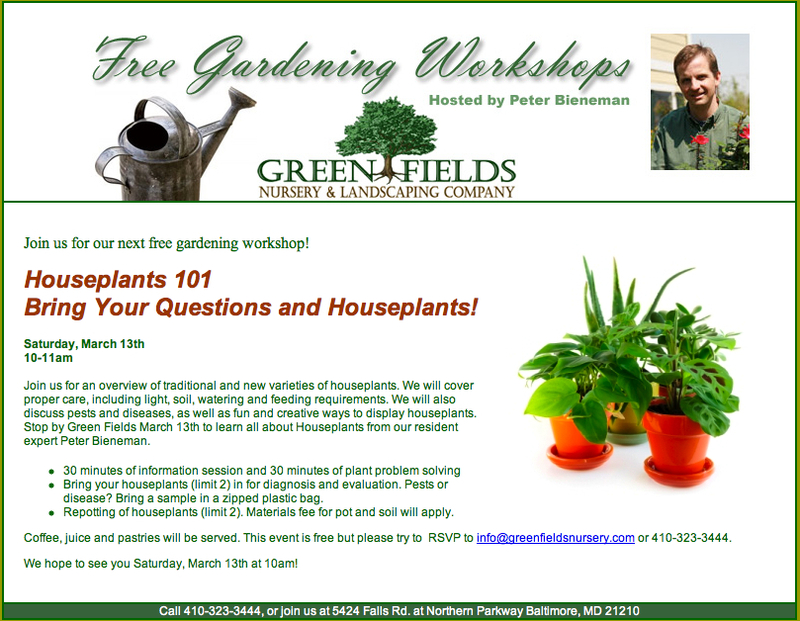 They are offering a free houseplant clinic this Saturday, March 13 from 10AM to 11Am. Bring up to two of your houseplants for a check-up and/or repotting. Before you go you may want to grab a compass and check out the direction of the lighting for each of the rooms housing your plants. You’ll find Green Fields at 5424 Falls Road Terrace. A few projects finished over the weekend have given the living room some life. 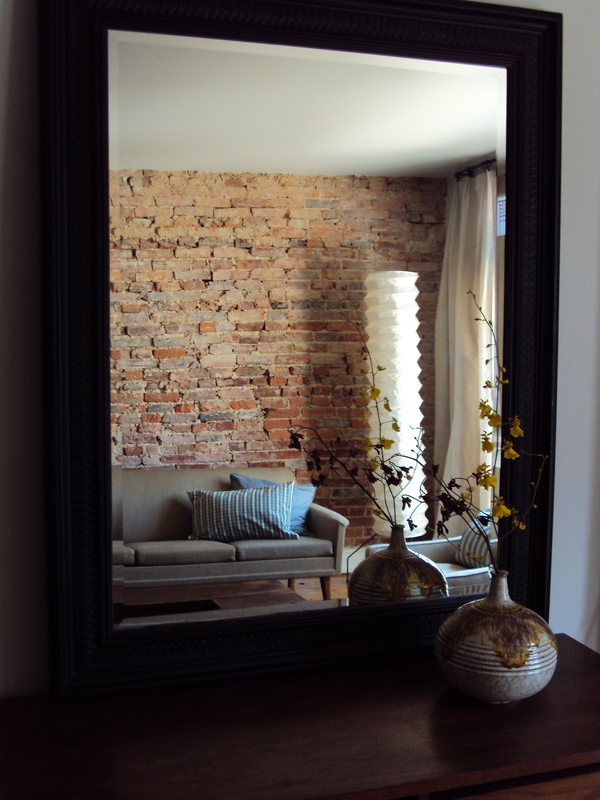 We repainted an old mirror using matte black spray paint and propped it up atop the newly remade credenza. I hit my favorite flower shop, Fleur de Lis (close to Enoch Pratt Library’s central branch) for a couple of stems to fill our favorite vase. I let the florist choose and she selected stems that matched the hues in the vase’s glaze, yellow and reddish-brown. Same principle as choosing a mat for framing art work, I suppose. 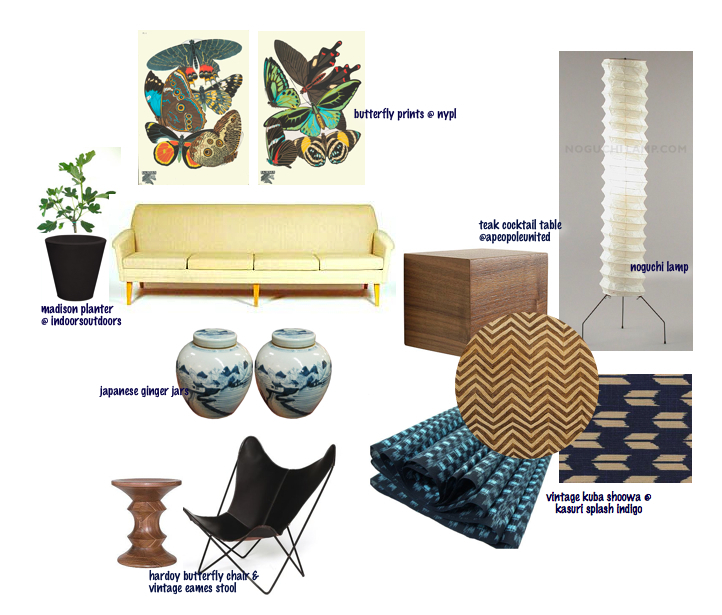 People usually make the mistake of letting the color palette in the room guide these choices. 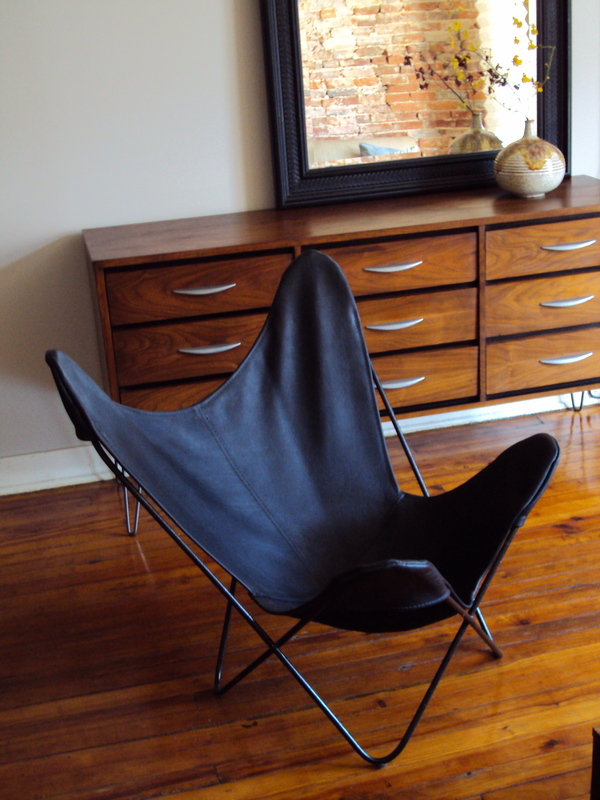 The new cover for the butterfly chair arrived from Circa 50. The chair is now disarmingly comfortable. I actually fell asleep in it after I put the baby down for a nap. The leather sling really cradles you. It had been such a disaster, what with the ripped canvas cover which must have been way too small. The new cover is terrific, top quality. Amazing what a few pillows will do. 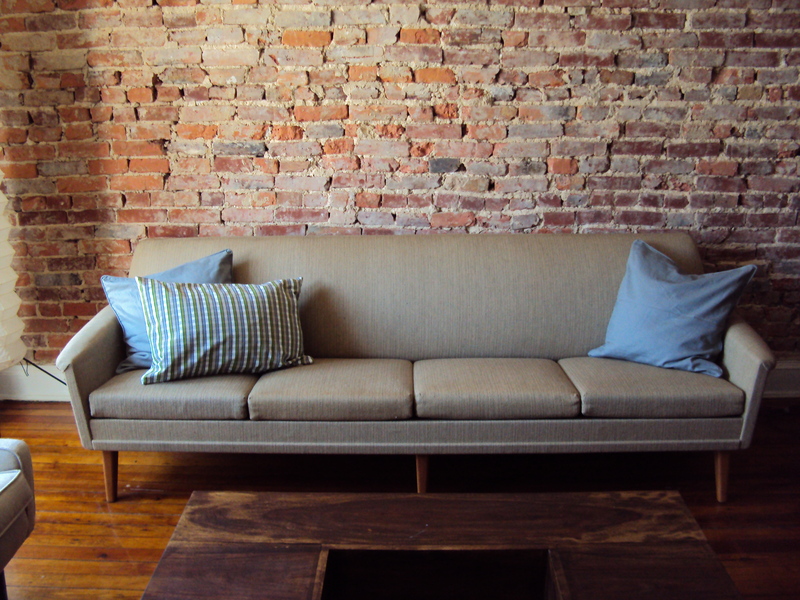 The sofa upholstery is wool so the cotton cushion covers are really a necessity and not just fluff. The gray I am sure is here to stay. I am not sure about the green plaid, however. We’ll see. How did I not know about Gary Gebler’s incredible collection. The retired Sam Goodie and Record and Tape Traders executive has been running his treasure trove of vintage vinyl, Trax On Wax, since last June. 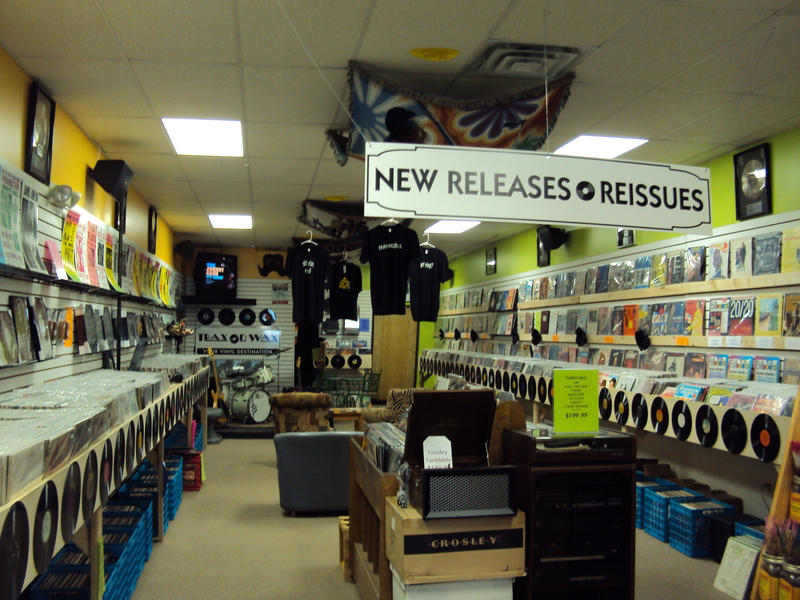 Trax has joined the row of unique music stores along the stretch of Frederick Road before Mellor Avenue in Catonsville. Gary told me that he began traveling up and down the coast gathering records for about a year before he opened shop. Great job, Gary. What a catalogue. 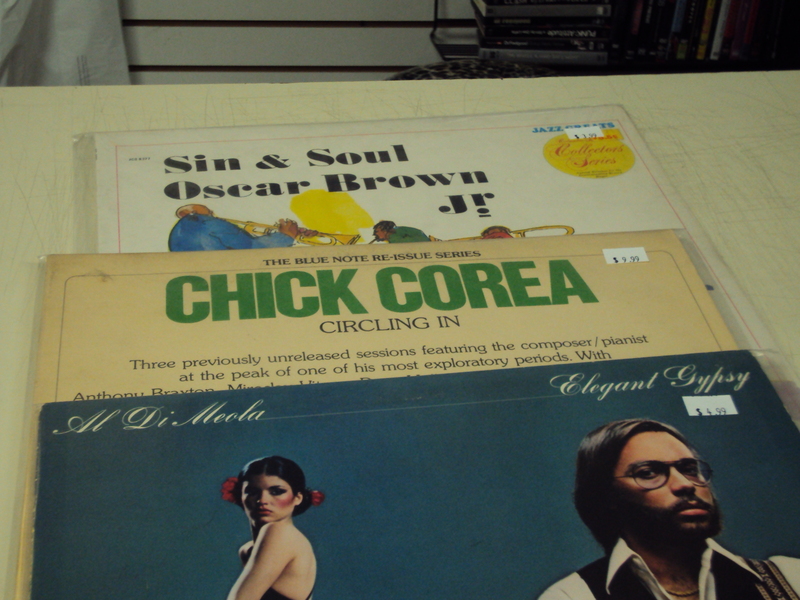 I found three wax titles I had been searching for without even really digging. That was within the first 15 minutes I spent in the shop. Yeah, as you can see above I scored Al Di Meola’s Elegant Gypsy, Chick Corea’s Circling In and Oscar Brown Jr.’s Sin and Soul. I came up empty on Eddie Jefferson’s Things are Getting Better. But, the Oscar Brown more than made up for it. Imagine if I could have burned an hour or two. Oh, and Gary’s knowledge is a bonus. Once he noticed me scooping up Mahavishnu Orchestra he let me know where to find all the Jaco and John Mclaughlin. That’s one of the things that makes vinyl so great–it sounds better and it brings better company. Imagine the kid peddling discs at Best Buy anticipating your fusion jazz needs. I never knew I could feel this way again. 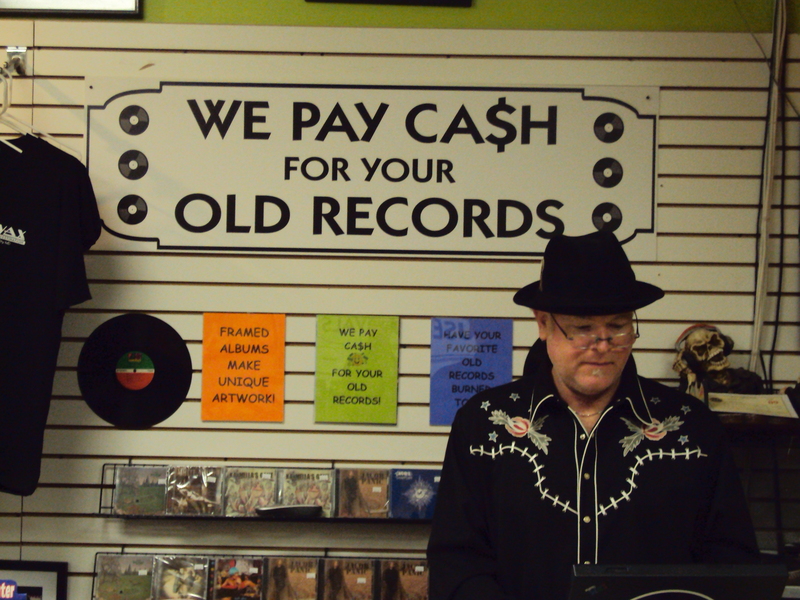 Shout out to Stedeford’s Records back home in Pittsburgh. You’ll find Trax on Wax at 709 Frederick Road. Check out Ebay Germany. 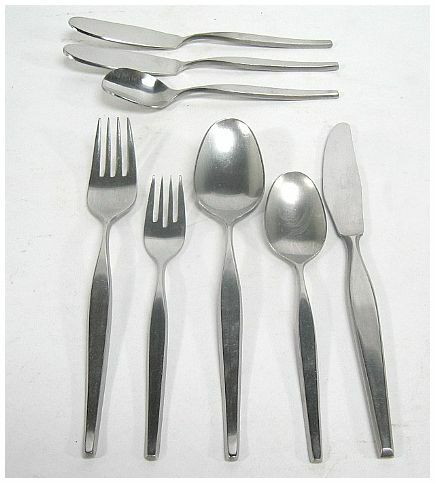 Tons of outstanding, old-school Scandinavian housewares. I just scored this 1960’s teak candelabra for under $15 including shipping from Europe! 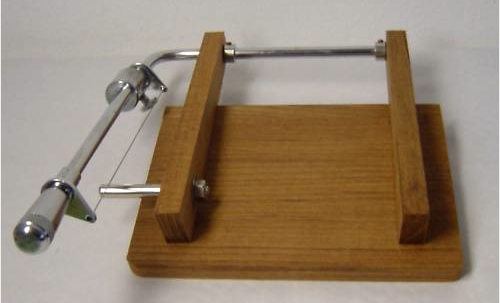 Some other beautiful items still up for auction, too…like this teak cheese board. Good luck if you go bidding. While you’re surfing, visit modhaus as well. 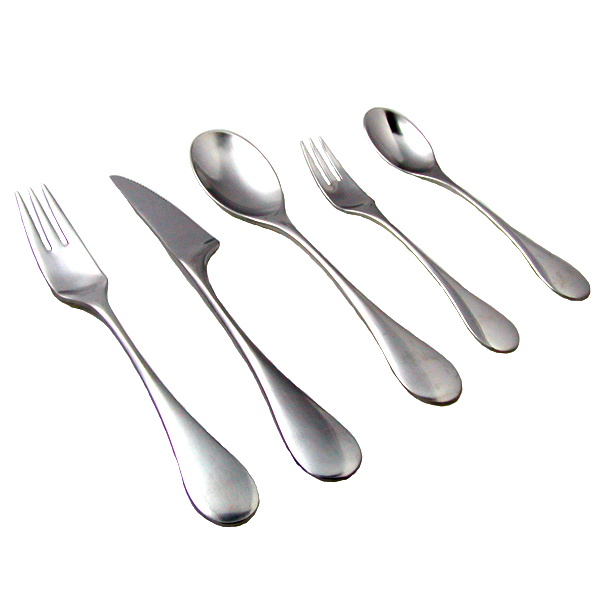 I picked up this set of 1960’s vintage Japanese flatware. Lookie! A sugar spoon and two butter spreaders. The service puts me in the mind of Nanny Still’s cool “mango” pattern for iittala from 1971, which is still in production and available at finnishgifts. I digress… back to Modhaus. 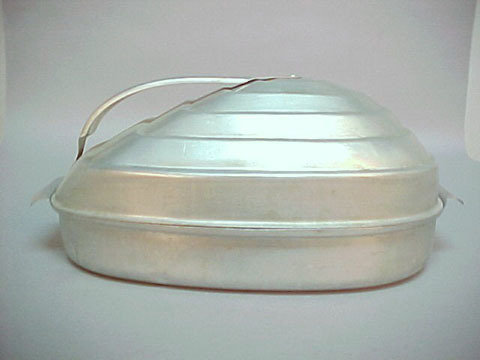 An art deco roasting pan! I’ve never seen anything like this. Maybe I’ve been too sheltered. It’s pretty enough to bring to the table. 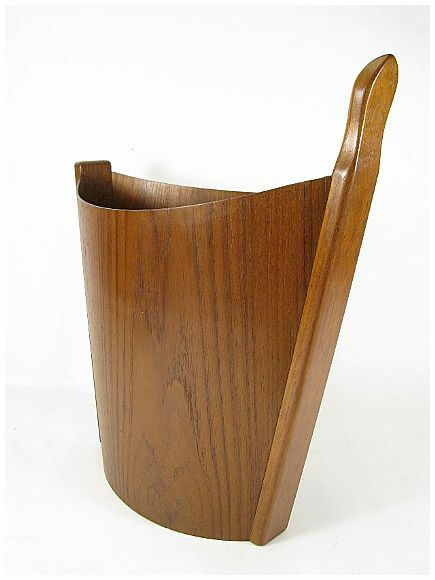 Also up for grabs is a very pretty teak waste bin. Modhaus is in Boston. Shipping is reasonable and free business to business. “Good design is no more expensive than bad”. So said Mr. Allen Lane. Lane founded Penguin Books, the British company known for quality paperbacks and the extraordinary cover artwork on all of their titles. I thought that these postcards would make outstanding dinner party invitations. I plan to host a tiny bash when we’ve finished our home “cure” and invite all of my bookish friends. These cards are not yet available in the States (on sale beginning in October) but I have procured two sets. Yes, one for me and one for you. In your humble opinion, what is good design? Leave your comment through midnight March 31, 2010 for your chance to win the extra Penguin postcard set.